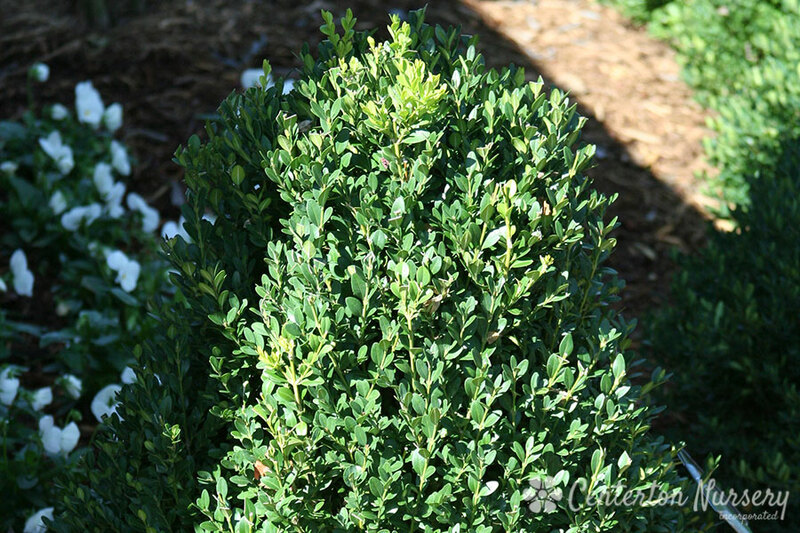 Super rich green leaves with a tidy fine texture, with age the plant will take on an upright pyramidal habit, evergreen foliage resists winter burn. 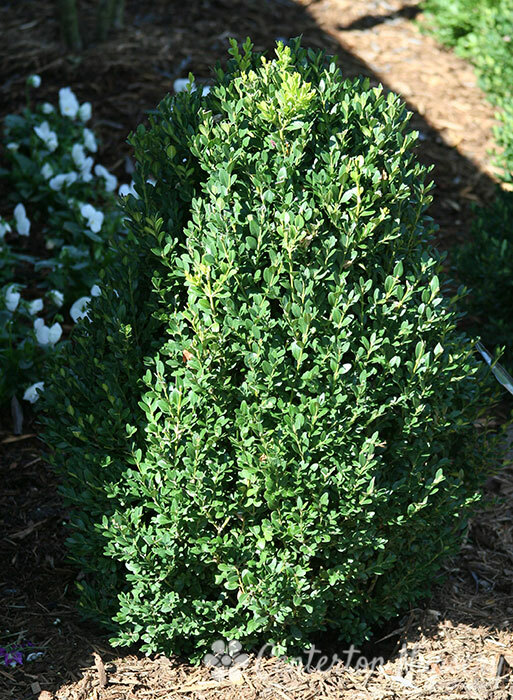 Autumn/Winter Care: Trim anytime late winter through late spring. 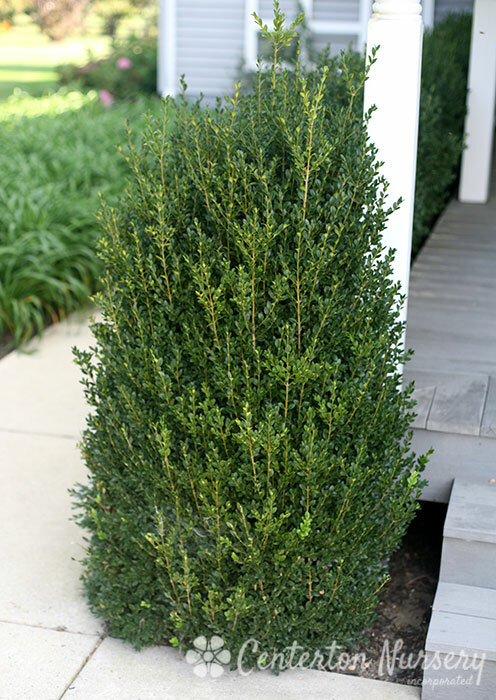 Most Buxus can take many different shapes, but 'Green Mountain' has a tendancy to grow upright and form a pyramid-type shape.